Authorities in Indonesia’s Aceh region have started to tear down churches following last week’s religious violence that left at least one person dead and forced thousands of Christians to flee. 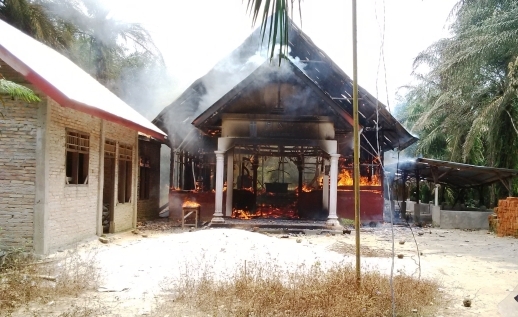 Clashes broke out after Islamic hardliners burned down a church in Aceh Singkil on 13 Oct. According to local church leader Rev. Erde Berutu, “around 8,000” fled into the bordering province of Northern Sumatra. Muslim residents had demanded that unlicensed churches in the area be pulled down, citing a lack of building permits, but religious and political figures – including Christians – agreed at a meeting on 12 Oct. to close the houses of worship. Police started tearing down the churches with axes and sledgehammers on the morning of 19 Oct.
Indonesia has the world’s largest Muslim population, although Aceh is its only province to implement sharia. The national government had granted Aceh autonomy as part of a 2005 peace agreement that ended decades of separatist violence. The agreement was signed eight months after Aceh was devastated by the 2004 Tsunami. In July, clashes between Christians and Muslims took place in Indonesia’s eastern province of Papua, where a 15-year-old boy was killed when police opened fire on protesting Christians. News of the incident spread quickly across Indonesia, leading to a string of retaliatory attacks on Christians and churches in recent months. On Friday 9 Oct, hundreds of Muslims including members of the hardline Islamic Defenders Front gathered at the local authority office to demand that all churches in Aceh Singkil be closed. The group also spread text messages to incite other Muslims to demolish churches that did not have a worship building permit. The following Monday, the office facilitated a meeting among leaders of the local communication forum, Islamic schools, and Islamic organizations. They agreed to demolish 10 of the unregistered churches over the course of two weeks, starting on 19 Oct. But the pact was broken the next day when a 700-strong mob marched to the government offices and later torched the Indonesian Christian Church, even though it was not on the closure list. 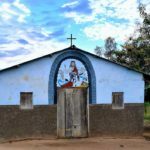 “Every church member is guarding their own church right now [from being destroyed],” a pastor told World Watch Monitor. Allegedly, some Christians started firing at the mob. A Muslim man was shot dead and in a clash that followed, eight others were injured. Fearing more violence, an estimated 8,000 Christians fled their homes to the neighbouring province of North Sumatra, with many settling in Central Tapanulu. Local churches, schools, and government offices gave them shelter. 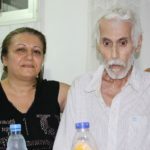 World Watch Monitor was told that the temporarily displaced Christians had very little and “desperately needed clean water, food, clothes, baby food, blankets, and medicines”. Reaching them meant driving along damaged roads through the jungle to avoid the threat of Muslim extremists. “Taking the main road [which means entering Aceh Singkil] is too perilous; Muslim extremists were guarding the border with an order to kill any Christians crossing the line,” it was explained. In a press conference, Gomar Gultom, General Secretary of the Indonesian Fellowship of Churches, criticized the local government of Aceh Singkil for allowing the violence to take place. “The meeting between the community and religious leaders was facilitated by the state, as if endorsing civil society to carry out violence,” he said. 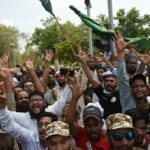 Gultom further bemoaned the law enforcers’ inability to contain the violence, although an army official reasoned that they had been outnumbered by the Muslim mob. Following the riot, 250 police personnel were deployed to secure the area, according to National Chief of Police Badrodin Haiti in a recent visit to Aceh Singkil. The agreement to demolish unregistered churches was partly driven by a ministerial decree in 2006 instructing worship houses to obtain a religious building license, which are known to contain stringent requirements. 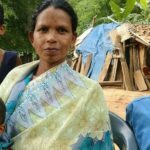 “But even after all requirements are met, many churches are still prevented from getting the permit,” a source told World Watch Monitor. 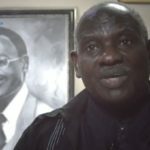 The National Commission of Human Rights stated in 2013 that over 80 per cent of worship houses in the country lack such license, including mosques. But unlike churches, unregistered mosques are hardly ever contested by civil groups. Rev. Erde and Gultom have both refuted a pact that was allegedly made between Muslims and Christians in 1979 and 2001, allowing only one church and four smaller worship houses to operate in Aceh Singkil. 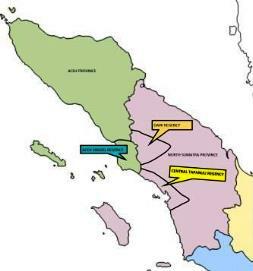 They point out that Christians had settled in Aceh Singkil long before the nation’s independence in 1945. Over time the number of churches in Aceh Singkil grew to 24, most of whose members originated from North Sumatra. Indonesia ranks #47 on the 2015 World Watch List of 50 countries where persecution of Christians is most severe. Though a secular nation, Indonesia hosts the world’s largest Muslim population and has seen a rapid increase in Islamic fundamentalism and violent attacks against not only churches but also Islamic sects deemed as deviant.